Being a mom means you have to be great at many jobs, all at once. You need to be a chef, a cleaner, a teacher, and a disciplinary, all while being yourself and loving your kids as much as possible. Add a career on top of this full-time job, and you’re already stretched as thin as you can go without considering making time for yourself. 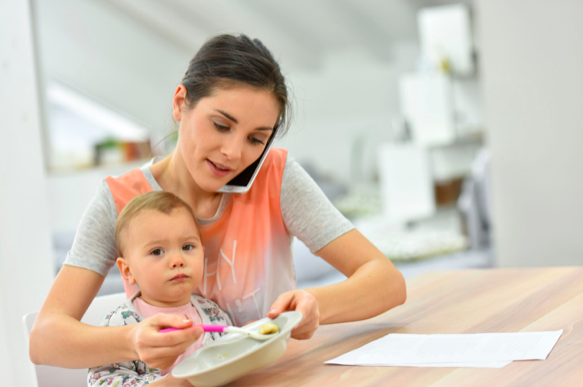 Thankfully, there are strategies you can use to help you balance what you need to do while still being the best mom. One of those strategies is ensuring that your purse is fully stocked with every essential item you will need, at home or away. Every mom needs a strong, spacious purse that can take a beating, hold a lot, and last you a long time. Opting for cheap purses won’t get you far, which is why you should wait for a sale and invest in the superior quality, design, and durability of either a designer purse or an artisan purse. If you only have to buy one purse every ten years, you will end up saving a lot of money. A key thing that every prepared mother needs is a first aid kit, one which can be carried and reached easily. It needs to include gauze, disinfectant, bug spray, Band-Aids, and even blister bandages. These kits can be very small, but having one will be vital to swoop in and save the day whenever an injury happens to your kids or yourself. Forget buying plastic bottles whenever you are out or picking up disposable coffee cups. By investing in a silicone water bottle and a reusable coffee cup that can actually fold up, you can have water with you on the go wherever you are. Not only is it more convenient and cheaper, but it is also healthier for your family and the planet. What’s even better, is that many cafés offer a discount to customers who bring reusable cups for their coffee. Your phone is your lifeline, but it can break incredibly easily if you do not adequately protect it. That is why you need to find the best cell phone protective cases for you. In fact, you might even consider having more than one! A hard plastic case for around the house, and a wallet protective case for when you head out. Either way, the more protected your phone is, the better. Rain or shine, your job as a mother never stops. As such, it is important to have a travel-sized and portable umbrella with you wherever you go. You do want to be careful, however, as the extra joints in travel umbrellas mean they can be structurally weaker than their full-sized counterparts. You will want to invest a bit more in a quality model that is reviewed well to ensure you get the most use out of it. Ensuring you have all the items you need is your first resort when it comes to all of life’s surprises. Have a strong, sturdy purse and fill it with all the essentials you need, and you’ll be prepared for anything. These sound like must have items for sure.